Is the Civil War pack really going for that much!? Geez, there's like 5 in my area... just sitting there. Might pick it up of it seems to be rare. I live in Malaysia and we only started getting POPs last year, but so far, the packs version are a rare sight. I actually got the Harry Potter 3 Pack when I was in Tokyo. toy dealers who do import the packs charge it at a crazy price. Ah ok... that makes sense then. They're pretty abundant around here... and I've passed on it quite a few times. I'm a Spidey fan, but not enough to buy the pack. That's what I like about POP is that you aren't necessarily forced to buy a bunch you don't want, but that's also why I'm slightly perturbed at the CW set. EDIT: Well GS was a bust. No Rangers in transit. Metallic Blue however is... and reserved! Dammit!! Last edited by Taichi; July 30th, 2016 at 09:03 AM. Where are you at? I looked at a few key cities and only found it at, like, three different GameStops within 100 miles each of New York, Los Angeles, and Nashville. I'm half-tempted to just buy it off of eBay and be done with it. One of the auction listings said that GameStop pushed the date back so far that the stores might not even get it. I did find Green Ranger at Hot Topic. Becca wanted Cheshire... the exclusive is fuzzy! They did have Black, but he had a horrid paint damaged shoulder... so I skipped him. Saw the Rangers the other day....decided to skip. Paint wasn't good and they look much better(imo) in the preview pictures. Gonna wait. If they remake a new Pink, etc then I'll grab a set. Got my first 2 ever Vinyls and I'll more than likely try to complete the rangers (please re release red, pink, and white) and the doctor who ones. Last edited by a squad; August 3rd, 2016 at 11:02 PM. I'd found Mal at Target the other day, and they had Evie sitting on the shelf, but I didn't think to get her at the time. Since then, I'd gotten the urge to complete the Descendants set - since it's only 4 figures - and saw that they were still reasonably priced on Amazon. I went back to the same Target tonight and found Evie (again) and Carlos, but on their Funko endcap this time, with a bunch of other characters. Sadly, they didn't have Jay, and the other Target that I found the NS Legacy figures at this afternoon had an entirely different assortment of largely-HP-and-SW ones. Rather than keep trying different Targets, I decided to just order Jay off of Amazon and be done with it. Now, I just hope that this doesn't start me down some slippery slope of Funko hoarding, because I can just see this becoming like my mom and the Beanie Babies phenomenon back in the late-'90s. Oh, the memories of standing in line at stores all over and winding up not even getting what we set out for. Good times! Lucky. None of the gamestops in my area have it, or any of the PR pop. And Barnes & Noble doesn't have them either. First their site said they'd be out Aug 3, then yesterday it was the 5th, not there's no date listed though you can purchase them so I'm confused. Hoping maybe tomorrow I'll check and see, otherwise guess I'll just have to order them from the website. But man, really wanted that gamestop exclusive. Then again Amazon is really weird with their PR pops. They have one set listed for Sept. 3, but then they have others that are available for purchase but are like $4 more for some reason. Real annoying trying to track them down. I was just there yesterday browsing, so they don't have them yet but yeah I plan on keeping an eye out. Though really B&N has them the cheapest and if I can order them from the website it's not a hardship. I was just hoping to find them in store so I can save a bit with my membership discount. The gamestop one bums me though since it seems unlikely to appear around here and so far can't be bought online, we'll see though. If I get the normal four I'll be good, I bought the Red, Pink, and White years ago at an anime convention. First Pop figures I bought, didn't realize they'd be rare now(well except for White cause it was a con exclusive). Also gotta keep an eye out for the Dark Crystal pops. I got the Jen figure at B&N yesterday. Really don't have room to collect them all, but it's the Dark Crystal so who knows. Those and the Labyrinth ones would be nice. Had my pick of the litter at GameStop. Duuuudeee!!!! Sweet! Now I'm jealous!! Actually I'm going by today to see, but I'm not holding my breath. I ended up picking up an ultron pop today from B&N. It was on clearance for about 2 bucks. do all game stops also carry them in the metallic chrome? 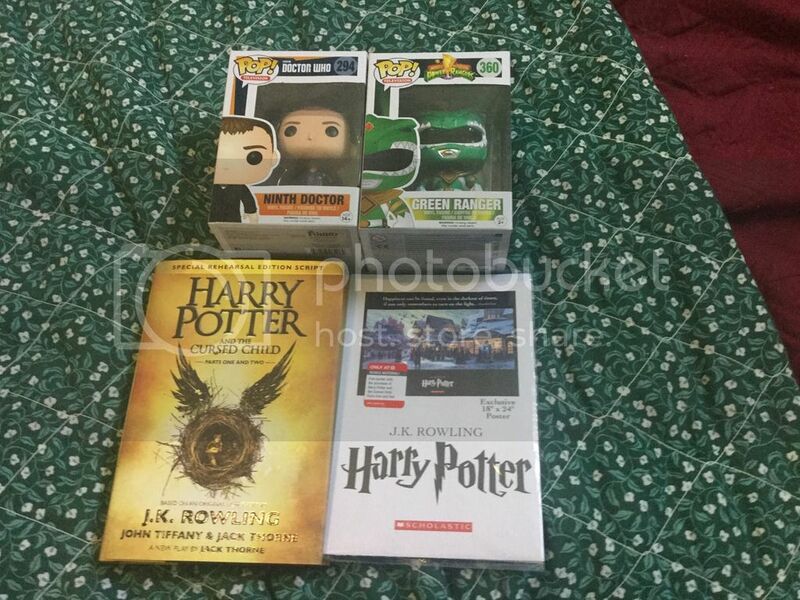 I just ordered the four PR Pops off Barnes & Noble's website since they're cheaper there. Since it doesn't seem like they're get them in stores so I can get my member discount which is a bummer but oh well. Would only save a couple bucks, and I used a code online to save a little(though I had to spend a little more getting a book I wanted, but it works out). No idea about Gamestop's metallic blue, but I did talk to someone at a local store and apparently another gamestop had ones that had damaged boxes or something, so they weren't sure if people wanted them. The woman got my name and number and had the other store call them if they weren't going to be sold. So no guarantee, but it's better than nothing since no one is carrying them. Would be cool to get a call that they were going to get one for me. But if I miss out on the metallic it wont be the worst thing in the world. 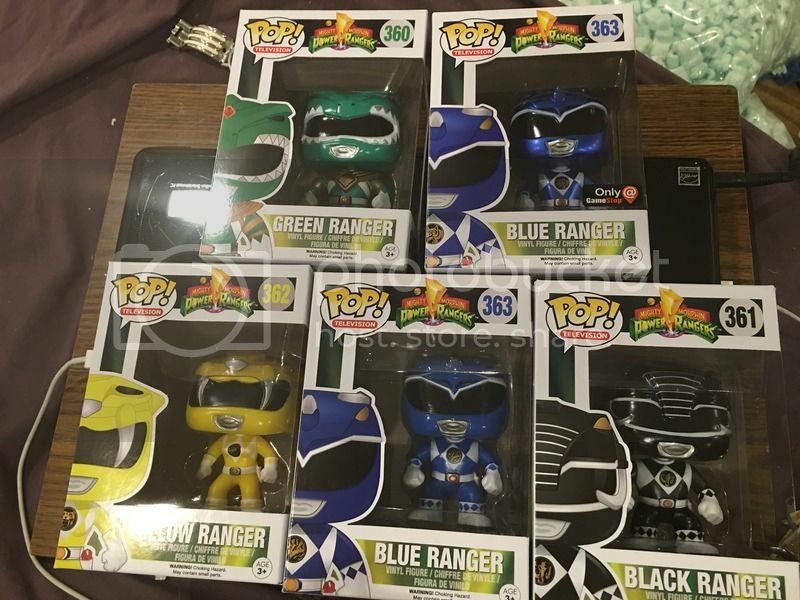 I just want the four to complete my ranger set anyways. Now the bummer part is if I want to get the Kira & Fizzwig for the Dark Crystal set might have to search around since B&N is out online. Or wait to see if they get more. Depends on the price, Amazon might not be bad either we'll see. Unsure still whether I want to collect the set or not.